… are here, or not here, or something, depending on how silly you want to get with the whole bears/no bears thing. The point is that No Bears is out in paperback, just in time for the ridiculously extended Christmas season, which the shops tell me reaches all the way back into October and beyond. If you are looking for a bear-free gift for a small person in your life, this might be just the ticket. To sweeten the (honey) pot, Walker Books have created a door hanger which comes free with purchase. 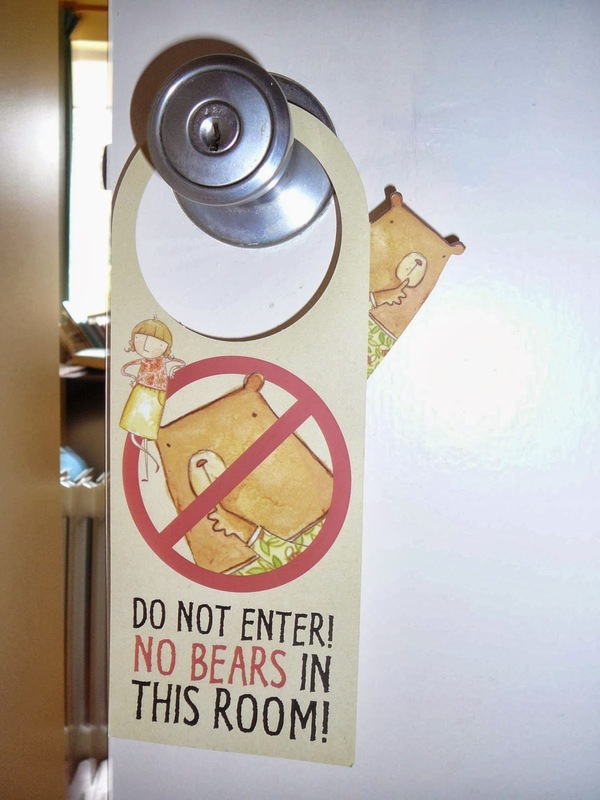 I have one on my study door and so far it has been wonderfully effective in keeping bears of all kinds at bay. Highly recommended. In a small burst of writerly glee, I observe that the books have been printed with the CBC Shortlist sticker logo. This is a first for me and rather gratifying. I may have run my hands over it once or twice. 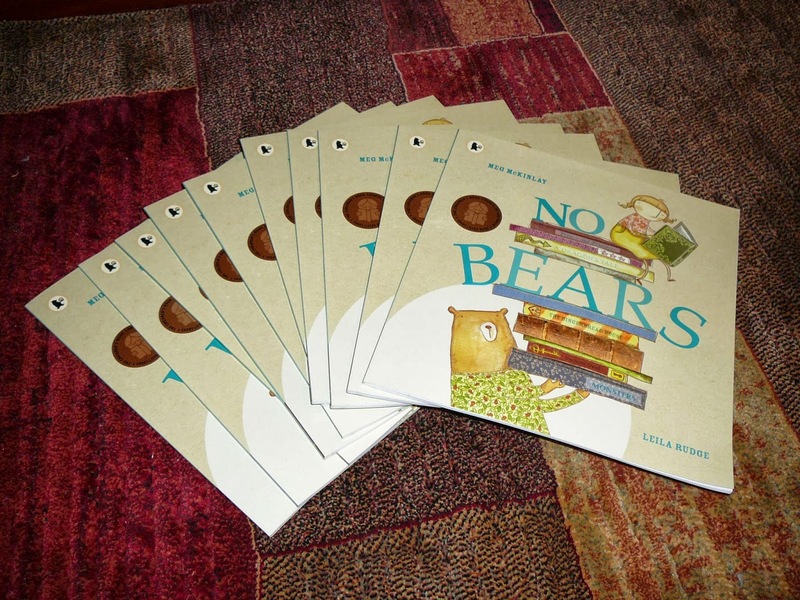 This entry was posted in Awards, CBCA, No Bears, Picture Books and tagged swag on October 4, 2013 by Meg McKinlay.